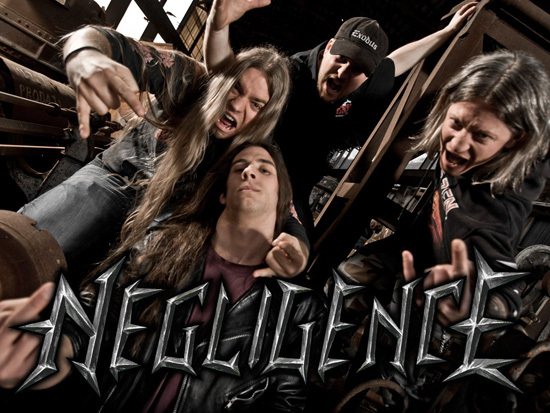 NEGLIGENCE was formed in 2000 by Dyz and Jey, two great Slovenian guitarists who shared the same passion for music and decided to start working together. The guys were soon joined by old friend Lipnik on bass and Ruzz on drums, and the band quickly wrote tons of great material. Eager to present themselves to a larger audience, they first started playing live as a four-piece, without a proper vocalist. 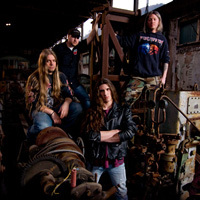 However, as the group’s fan base started growing, the absence of a frontman became more and more obvious, so after a long search they settled for Lenz. Finally a five-piece, the band released three untitled demos between 2003 and 2005 and embarked on a tour across their homeland. 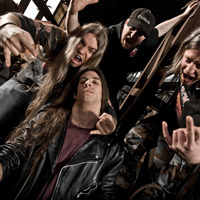 That year they also got the honor to be the opening act for the Metal Camp Festival, which had become one of the biggest metal festivals in Europe. 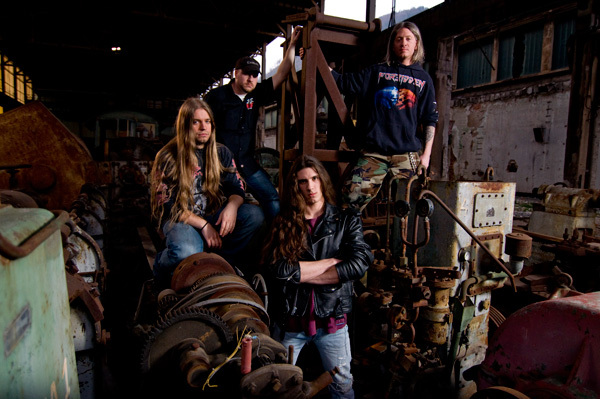 In 2005, NEGLIGENCE parted ways with Lenz, giving way to the then 15-year old Alex, who left another major Slovenian act to join the thrash outfit. The chemistry was there and they started working together, playing shows and gathering a bigger and bigger fan base. 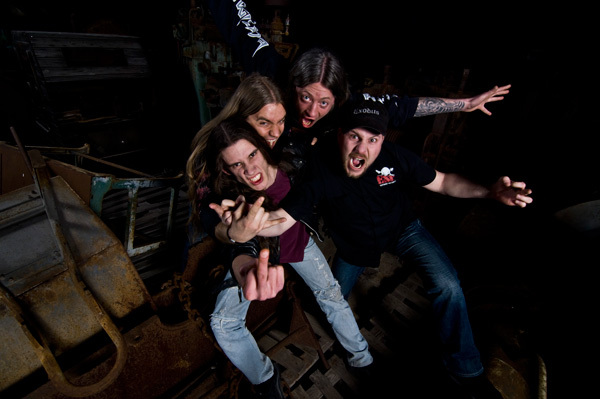 2007 saw the release of their first self-released full-length album called Options Of A Trapped Mind, which put NEGLIGENCE on the metal map and opened many new doors for the group. 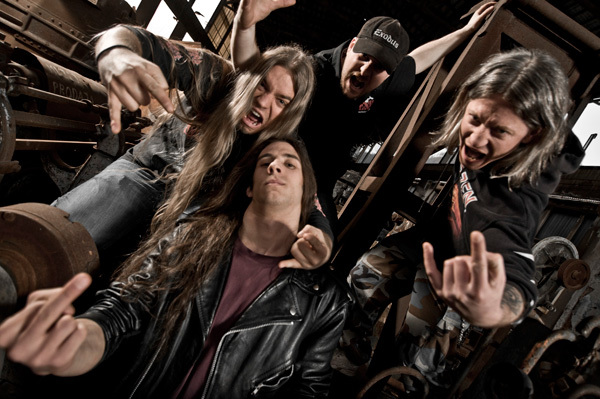 The record got a really good reception amongst metal fans and received great reviews. 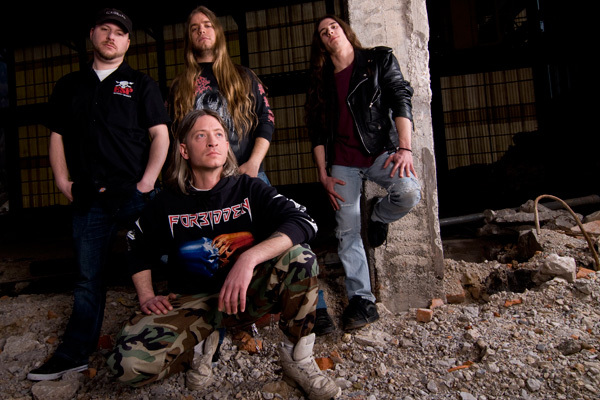 Following the release, the band went on to promote their album, supporting some of the biggest acts in metal, such as EXODUS, FORBIDDEN, HEATHEN, SADUS, DEATH ANGEL, etc. Later in 2008, the band started working on a new album. At the end of 2009, long-time member Dyz parted ways with the band. 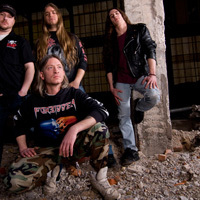 The band finished the album for a 2010 release. Coordinates Of Confusion is the band’s second album, produced by Jey (guitar) and Ruzz (drums) in their own studio. This record is a step forward for the band both lyrically and musically. 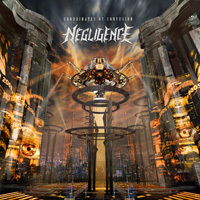 The album has all the ingredients which all the fans love about NEGLIGENCE: fast, aggressive, melodic, with a mixture of various metal genres such as thrash, death and heavy metal. The band is also very proud to become a member of one of the greatest metal record labels in the world and will proudly carry the flag of true metal enthusiasts and metal gurus which is Metal Blade Records!